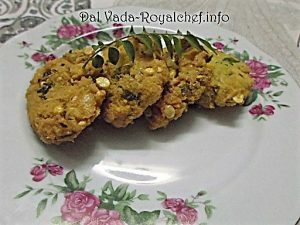 This is a Recipe for preparing at home crisp and tasty authentic Maharashtrian Style Dal Vada, a popular fast food snack in most parts of India. 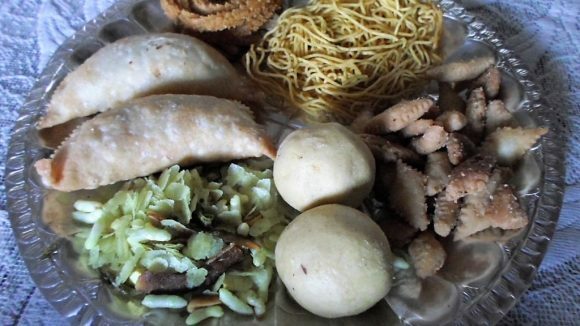 The making procedure is simple, follow the steps given below to prepare it at home. Soak the Gram Dal for 8-10 hours. Mix the Gram Dal, Ginger, Garlic, Green Chilies, Curry Leaves, Garam Masala, Salt and grind to make a rough paste. Remove from the jar and mix the Coriander, Lemon Juice. Heat the Oil and deep-fry the small size Vadas, directly in the heated oil.